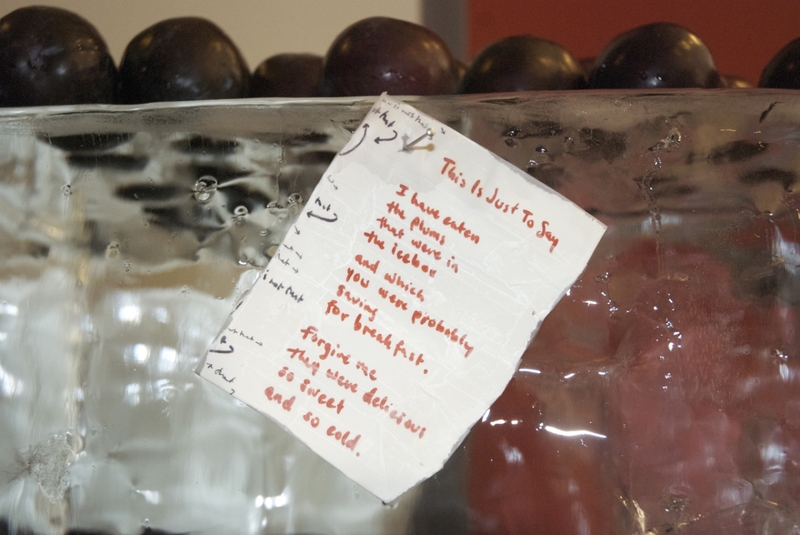 Inspired by the William Carlos Williams poem, “This is Just to Say,” this sculpture tempted visitors to CAFÉ to steal a plum and eat it during POET Night. For six months, the dbFoundation occupied the museum café at the Phillips Collection with our own über-café, producing a new theme each month. www.thisisnotthatcafe.com.